Luang Prabang is among the best preserved traditional cities in Southeast Asia. Its tranquility, tropical charm, natural scenery, cultural sights also make it one of the most alluring destinations in Laos. This guided biking tour will demonstrate why the city is called the “Jewel on the Mekong.” You’ll explore the morning market, ancient temples, war relics, local crafts, the Lao history of the former kingdoms, and the National Museum. They say Luang Prabang is best on two wheels. Come see for yourself. We’ll start by picking up the bikes at our workshop, where we maintain the best fleet of mountain bikes in town. After a safety introduction, we’ll set off to visit the Morning Market, a lively street where locals stock up on all sort of interesting supplies, from colourful vegetables to live frogs. Next, we’ll step from the energy of the market into the serene calm of one of the city’s most sumptuous monasteries, Wat Mai, and then to the former King's Palace – now the National Museum – where you’ll witness the history and present life of Luang Prabang. From there, we will bike to the beautiful and ancient Wat Xieng Thong temple, with its spectacular low sweeping roof, Luang Prabang’s most celebrated monastery. After a break for lunch, we’ll visit either the UXO museum* (it portrays the devastation that Laos continues to suffer as a result of the Second Indochina War), or shop for local crafts at Ock Pop Tok (which brings the fascinating world of traditional Lao handicrafts alive for visitors). Onward we'll explore the 16th century Wat Visoun temple, known for its enormous squat stupa and its collection of old gilded “Calling for the Rain“ Buddhas. 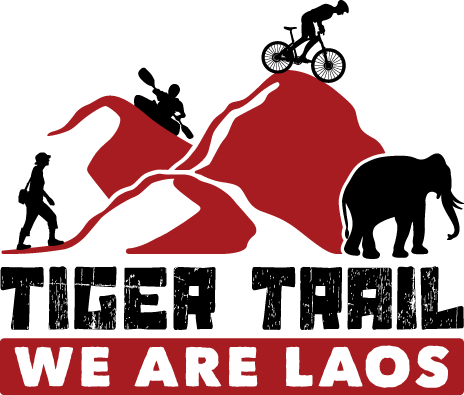 We will finish the day at the extraordinary Traditional Arts and Ethnology Centre**, the only independent resource centre in Laos dedicated to the country's many and diverse ethnic groups. *The Unexploded Ordnance Museum (UXO Museum) is open M-F 8am-12 and 1-4. Closed Sat and Sunday.